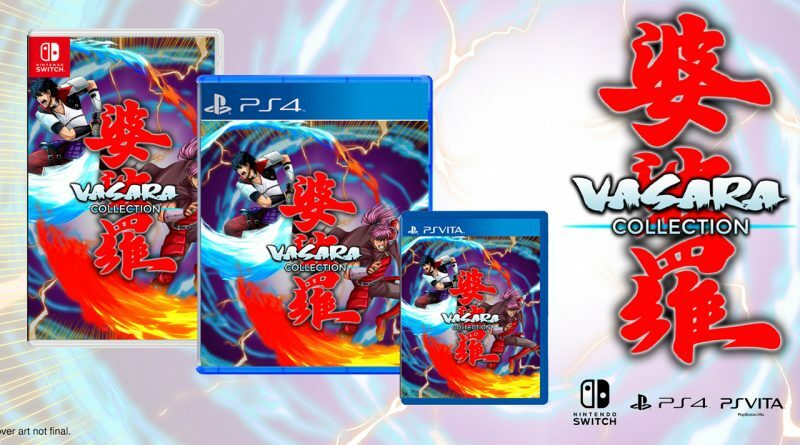 QUByte Interactive has announced that it has partnered with Strictly Limited Games to release a physical version of the Vasara Collection for PS Vita, PS4 and Switch. Back in 2018, QUByte Interactive acquired development and publishing rights for the Vasara shoot ’em up franchise, originally developed by Visco Corporation, and is now developing a collection of the two original Vasara games with exclusive new content as the Vasara Collection. Vasara Collection will be released digitally for PS Vita, PS4, Switch, XBox One and PC/Mac between Q1 and Q2 2019, with the physical version for PS Vita, PS4 and Switch to be released at the same time. For the very first time, highly acclaimed Japanese arcade shoot ’em ups – Vasara (2000) and Vasara 2 (2001) – are made available to the whole world as the Vasara Collection. Science fiction meets history in these arcade classics which take place in an alternate timeline feudal Japan where technologically advanced weaponry and equipment are a reality, and heroes use flying motorcycles with amazing firepower and fierce melee weapons to destroy their enemies. The late ruler of Japan, Hideyoshi Hashiba, has just died and Ieyasu Tokugawa is planning on taking over. The protagonists must battle their way through a series of warlords sent by Tokugawa in order to keep him from succeeding. Fight against warships, battle tanks, giant robots, evil soldiers and rogue Samurais to prevent 1600’s Japan from being taken over by tyrannical forces. The highly skill-based gameplay keeps you at the edge of your seat at all times. Try and stay alive on this frantic game where everyone, and everything, is out to kill you!